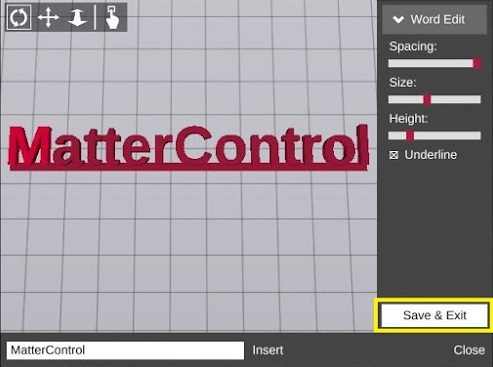 The Text Creator is a simple design tool that will enable you to create printable text. From the Print Queue select the 'Create' icon located on the bottom of the queue. 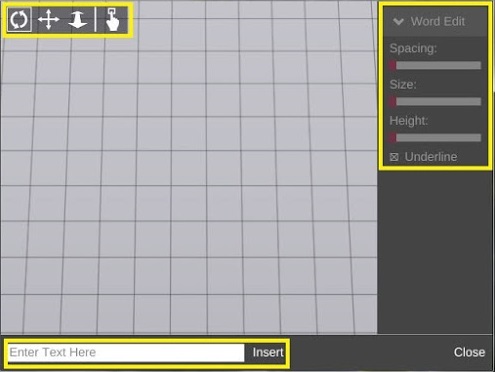 The design tool window appears. 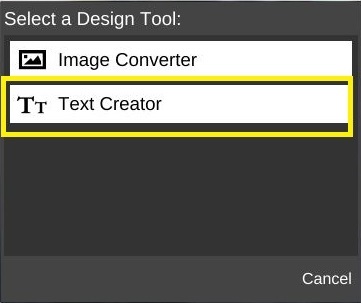 Select the Text Creator tool. A new window will open. This is where you type characters before inserting them into the view port. When done editing, select 'Save and Exit. 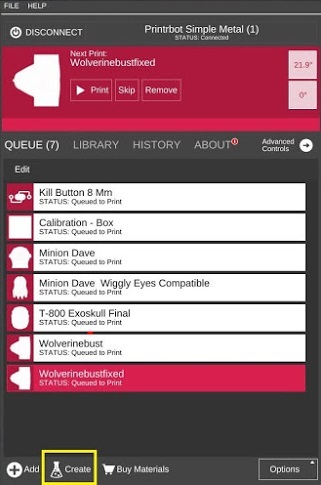 The file can now be found in the Queue. This page was last modified on 2 February 2016, at 10:26.